Treat yourselves to a Sunday Lunch at the Grantley this Easter. We're open for lunch and dinner. We'll also be open on Easter Monday. Valerie and Eric welcome you to the Grantley Arms: a fine old inn dating back to the late 1600's. 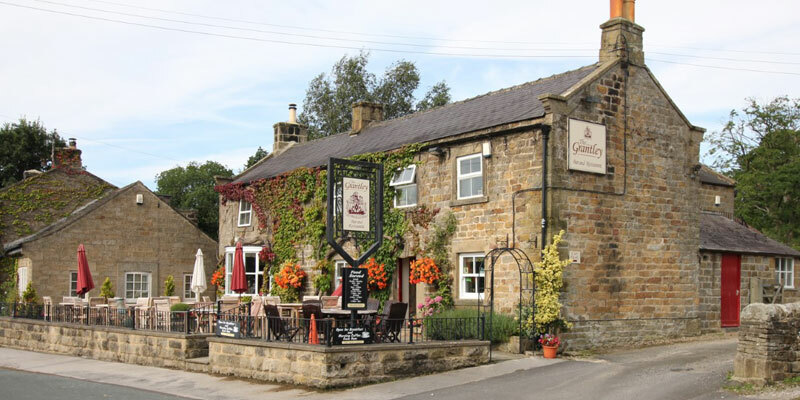 It's set in the picturesque village of High Grantley on the edge of the Yorkshire Dales National Park, 3 miles from Fountains Abbey and approximately 5 miles from the Market Town of Ripon, known for its beautiful Cathedral. Popular with locals and visitors alike, the pub's handsome decor and comfort are just two of its many attractions adding to its warm ambiance. The bar areas are spacious, the restaurant is air conditioned and can seat 30 people. The sun terrace affords stunning views across the Yorkshire countryside with seating available for up to 50 people. Please note: We only allow dogs on the front terrace and not inside the Bar and Restaurant area. We are looking for a part time or full time Front of House, Waitress or Waiter. A smart, punctual and trustworthy person with some experience. Good rates of pay. We are also looking for a part or full time kitchen porter/kitchen assistant. To apply, or for more information, please contact Val or Eric on 01765 620227 or email enquiries@grantleyarms.com. Website design by ReZolve. An SSIDM website - v3.0.003g . Loaded in 0.0479 seconds.